Since 1867, our specialty has been and continues to be, to provide our customers with the best jute, woven burlap and synthetic fiber goods available. Tailored handling is our hallmark and quality customer service is our greatest strength and asset. 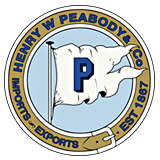 Pioneers of our trade, we were the first Boston-based company to guarantee shipping dates for goods out of Boston. © 2013 HW Peabody & Co., Inc.